The writing of a musical is an extraordinary feat by anyone’s measure. Australian stories abound which lend themselves to the musical theatre genre. 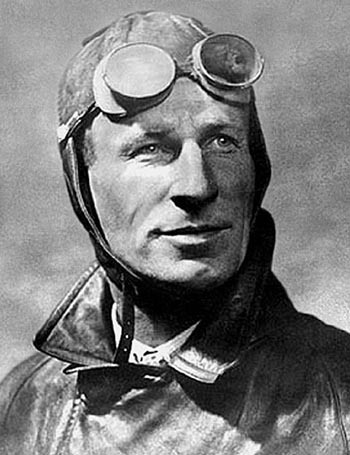 In the story of Charles Kingsford Smith (Smithy), Australia’s greatest pioneering aviator, is found a dramatic story of epic proportions, most notably, the first crossing of the Pacific Ocean from the United States of America to Brisbane, taking 10 days in 1928. In Australian history, Smithy is one of its greatest heroes and most iconic personalities, whose name now adorns Sydney’s airport as a mark of permanent tribute to this great aviator. His tragic death in a missing plane incident over the Andaman Sea in 1935 turned this Aussie hero into a legend. Without seeing the visual spectacular that could be realised on stage, the recording reveals an engrossing tale unfolding orchestral beauty (commencing with the romantically lush King of the Air Piano Concerto), juxtaposed with Big Band episodes, Australiana passages (including a retake on Waltzing Matilda), ballads (Drink ‘til You Drop), dramatic film music sequences (Crossing the Pacific), and great musical theatre pieces, such as I Want to Fly (the standout solo song with the marvelous voice of Daniel Belle). 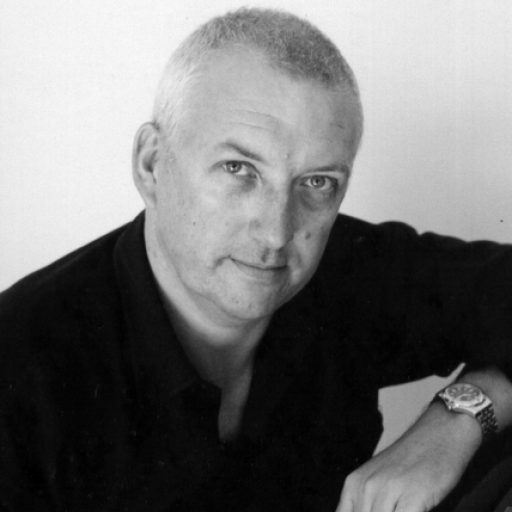 The composer has a gift for this genre, being a skilled songwriter and orchestrator, seeming to know what exactly will work for a modern theatre audience. The songs here certainly provide accessible solo material for any musical theatre singer’s repertoire. Slower reflective numbers, such as Bring My Boy Back to me (sung by Meredith O’Reilly), I Don’t Want a Hero, and Down the Sweep of Ages (both sung by Renae Martin), contrast cleverly with the inspirational anthem Hang Out the Flags (sung by Philip Dodd). There is the obligatory love duet, There’s Magic in the Air Tonight (Daniel Belle and Renae Martin), and even a Gershwinesque song, New York Ticker Tape Parade. An operatic moment provided by international soprano Yvonne Kenny AM appears in I’m Coming Home to Australia, and easily could have been plucked out of an earlier era and sung by the likes of Dame Nellie Melba, with its distinctly nostalgic air. Showing hints of Frank Wildhorn or Stephen Schwartz, Lockley has created a stunning duo in I Can’t Turn Back (sung by Daniel Belle and Renae Martin). Now, the next big challenge, for composer Gavin Lockley and his team, is to mount this as a fully staged production. 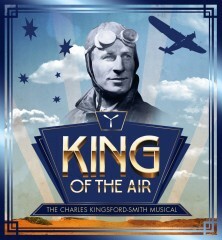 From the songs on this disc, there seems to be much merit in such a proposition, thus bringing the heroic achievements of our greatest aviating legend to the stage for all to see. The title of Yvonne Kenny’s new CD pays homage to a legendary city of great classical music. In particular, the content on this recording sees on operetta and contains some of the genre’s greatest songs, such as Vilja, The Nun’s Chorus and the Merry Widow Waltz. Of the 18 tracks, five are by Franz Lehar, and two each are by Johann Strauss II, Karl Zeller, Ivor Novello in addition to two unearthed gems (courtesy of Maestro Bonynge) of Paul Abraham. Three songs are in English (Stars in My Eyes, Some Day My Heart Will Awake, and My Dearest Dear), whilst the remainder are in German. Other composers are Rudolf Sieczynski, Emmerich Kalman, Robert Stolz, Richard Heuberger and Fritz Kreisler. The disc shows Ms Kenny’s full and gloriously rich voice in perfect combination with very sympathetic conducting by Maestro Bonynge capturing songs of which love, kissing and dancing are the primary considerations. The Vienesse lilt and sense of rubato is superb between both, making you itch to spring to the dance floor and waltz. The MSO Chorus features here in two tracks: Kalman’s Heia, Heia and in the well-known Nuns’ Chorus from Casanova by Johann Strauss II, in which there was a lovely interplay between chorus and soloist. Lehar features aplenty showing on the one hand a dramatic flair in the entrancing Meine Lippen from Guiditta (with a robust orchestral dance interlude), and on the other, the darker, lustrous low register of Ms Kenny’s voice in Hor’ ich Cymbalklange from Zigeunerliebe. The Zeller songs are very appealing, for they are less frothy than most other tracks. Ms Kenny has certainly found her city of dreams — the cities of the world with great opera houses in which she has sung: Sydney, London, Venice, Vienna, Paris, Zurich, Berlin, Hamburg and Washington. No doubt these songs will be welcome additions to many a vocal recitalist looking for a bubbly song or two to lighten a serious programme. Audiences love them as most of these songs give a sense of release and are instantly accessible. Ms Kenny has produced another fine collection showing her wonderful vocal range, and colour and incomparable artistry.